THEPANASABODIN.COM - Welcome to TPE THAILAND !! Welcome to TPE THAILAND !! We are the General Steel, Aluminium, Stainless Fabricator according to customers' drawings who are able to supply you from Laser Cutting, Machining, Band Saw Cutting, Gas Cutting, Bending, Shearing, Assembly and Welding, Sand Blasting, Spray Painting, and Powder Coating. 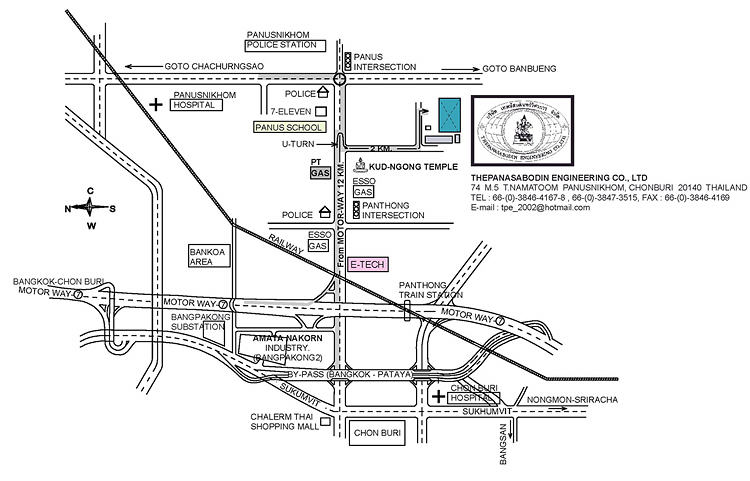 Our Factory is located in Panusnikhom, Chonburi which is only 85 km from Bangkok. โรงงานของเราตั้งอยู่ที่ อำเภอพนัสนิคม จังหวัดชลบุรี ห่างจากรุงเทพเพียง 85 กม.